disaster plans must include your furry family members too. Learn what to do to keep your beloved pets safe! 1. If it’s not safe for you to stay in your home during an emergency, it’s not safe for them either! 2. Include supplies for your pet in your emergency kit, or assemble an emergency kit for your pet. Keep items in an accessible place and store them in sturdy containers so that they can be carried easily. -Sturdy leashes, harnesses and/or carriers to transport pets safely and ensure that they can’t escape. -Food, drinking water, bowls, cat litter/pan and a manual can opener if you pet eats canned food. -Medications and copies of medical records stored in a waterproof container. eliminate mistaken identity and confusion. veterinarian in case you have to foster or board your pets. -Pet beds and toys, if easily transportable. The best way to protect your household from the effects of a disaster is to have a disaster plan. If you are a pet owner, that plan must include your pets. Being prepared can save their lives. If you have to evacuate your home during a disaster, the best way to protect your pets is to evacuate them too. If it's not safe for you to stay behind then it's not safe to leave pets behind either. if you know you may need to evacuate. 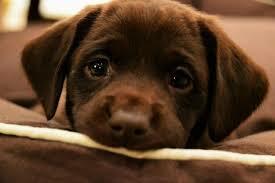 Ask if no pet policies could be waived in an emergency. Most American Red Cross shelters cannot accept pets because of health and safety concerns and other considerations. Service animals that assist people with disabilities are allowed in Red Cross shelters. Know which friends, relatives, boarding facilities, animal shelters or veterinarians can care for your animals in an emergency. Prepare a list with phone numbers. Although your animals may be more comfortable together, be prepared to house them separately. Include your pets in evacuation drills so that they become used to entering and traveling in their carriers calmly. up-to-date identification. Many pet shelters require proof of current vaccinations to reduce the spread of disease. Consider having your pet “microchipped” by your veterinarian. their well being and protect them from hazards to ensure the safety of other people and animals. Watch your animals closely and keep them under your direct control as fences and gates may have been damaged. substances that might not seem to be dangerous to humans. Consult your veterinarian if any behavior problems persist. 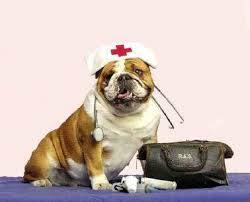 Pets First Aid-Be prepared to help your furry friends with veterinary advice for everyday emergencies.